The Park Street area was a booming neighborhood in the 1850’s. 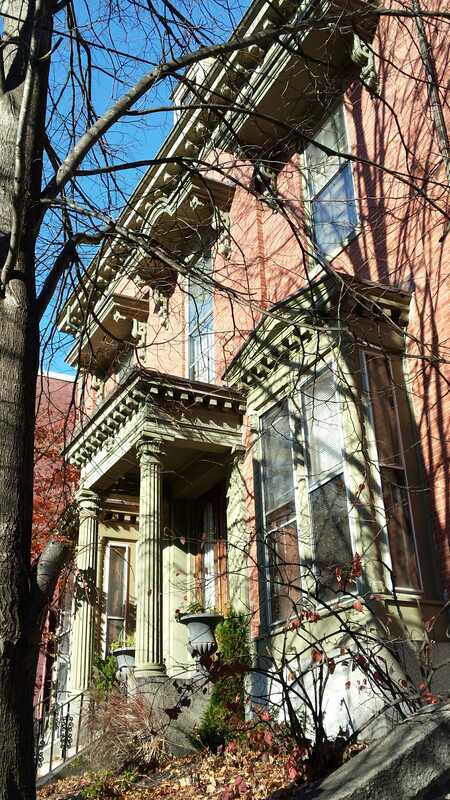 The row houses built in the 1830’s had gone bust then recovered. Charles Quincy Clapp was building a fine italianate mansion for his newly married daughter just above the intersection of Park and Danforth Streets. 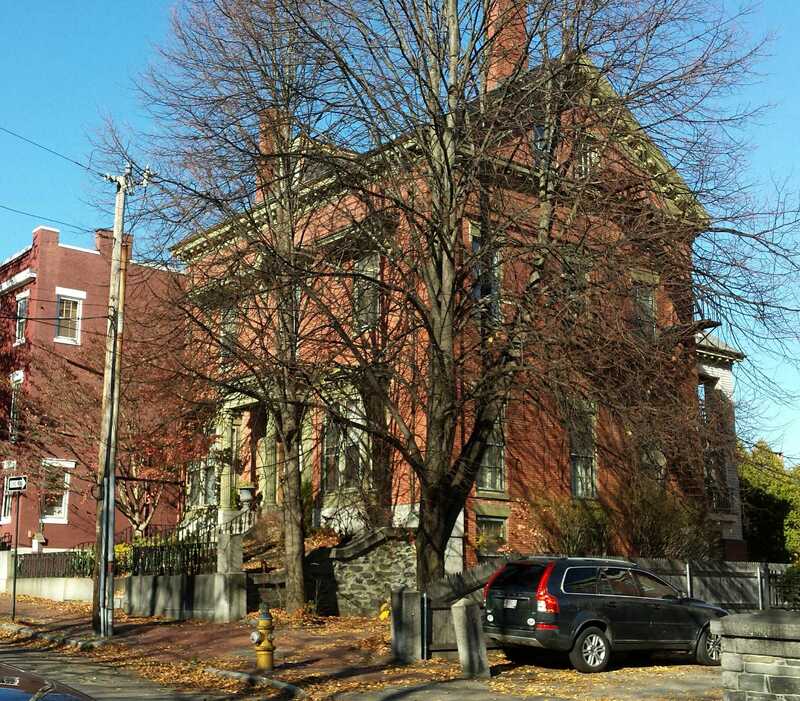 In 1856, Ruggles Morse would begin his mansion on the corner. But that’s getting ahead of ourselves. Trees are wonderful but they sometimes get in the way. In June of 1851, Stephen purchased the lot for our subject from Charles Quincy Clapp. Clapp is a man worthy of, and destined for, his own post. 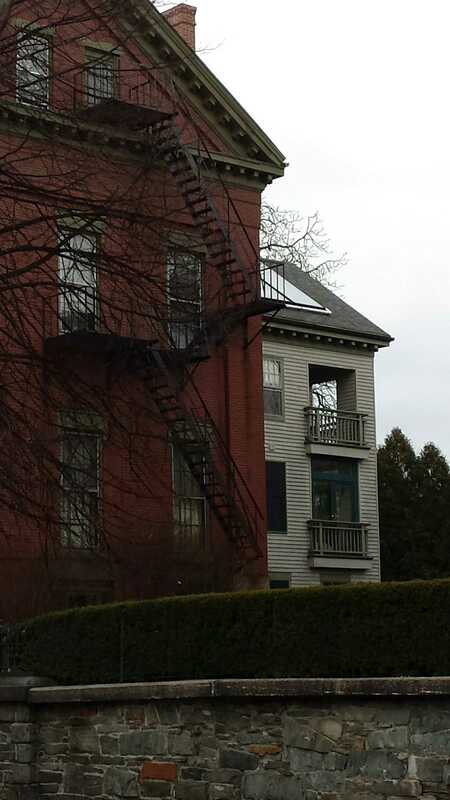 As noted above, Clapp started constructing an Italianate mansion of his own design in the lot just below Hall’s in 1851. The house is a 3 bay wide by 2 deep arrangement with a rear ell. It’s a bit tall for its width. A feeling emphasized by the sloping site. 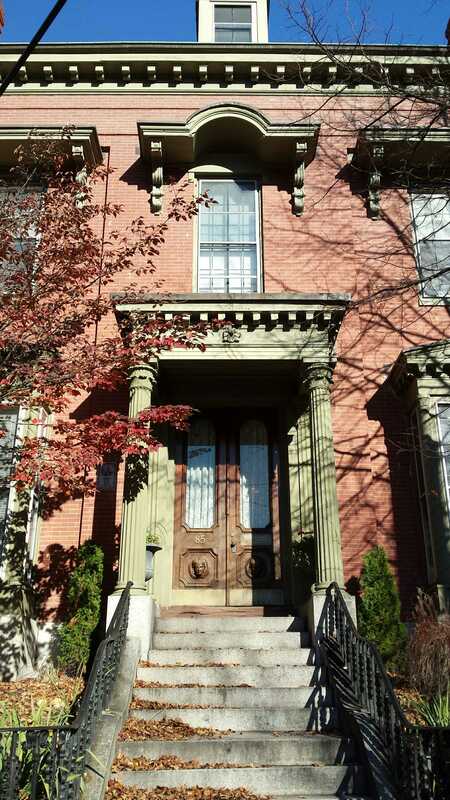 It is built of brick with granite and wood trim. 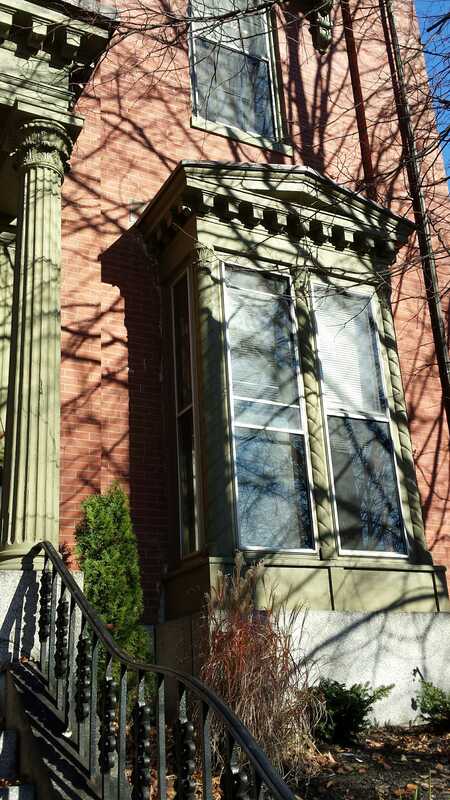 The Portland Historic Resources Inventory of 1976 lists the style as ‘transitional Greek Revival Italianate’. I will go with Italianate alone as it predominates the composition. The composition is extremely exuberant. The bay windows of the first floor project substantially from the wall and are ornamented with attached spiralling columns with acanthus leaf capitals. The bays are topped with heavily modilioned and molded, closed pediments that appear to be taken directly from Palladio or Vitruvius. The entry is the real show stopper on this house. Approached by a set of granite steps in 2 sections and retaining its period cast iron fence, the doors are covered with a powerful roman composition. The roof is supported by deeply fluted columns with very florid capitals. They are very well scaled and are answered with equally well detailed engaged pilasters on the building wall. Above the columns is a strongly molded architrave with a flower motif boss and those giant modilions from the bay windows. Lastly we reach the doors. It goes without saying that these are unique. 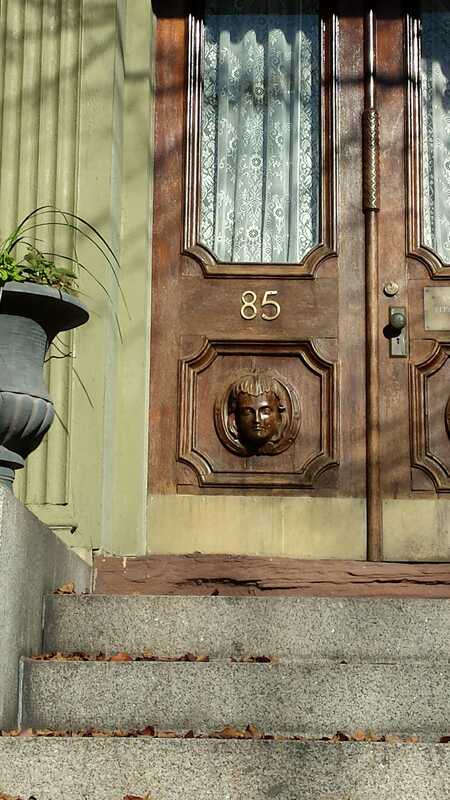 I know of no other doors in Portland with faces carved into them. Although difficult to confirm, they appear to be there in the tax photo. A version filtered to bring out detail is below. I think it’s a young girl. Interestingly, the 1870 census entry for Stephen & Sarah Hall lists a daughter named Sarah who was 22 years old. She would have been 4 or 5 when our subject was built. Seems about the right age for this face. And, to go a little deeper down the rabbit hole, we have the Littlefield family. Nahum Sr & Jr and Charles Littlefield were ship carvers working on Central Wharf in 1853. Stephen Hall was listed as doing business at 1 Central Wharf at the same time. Exactly what his trade was remains something of a mystery. 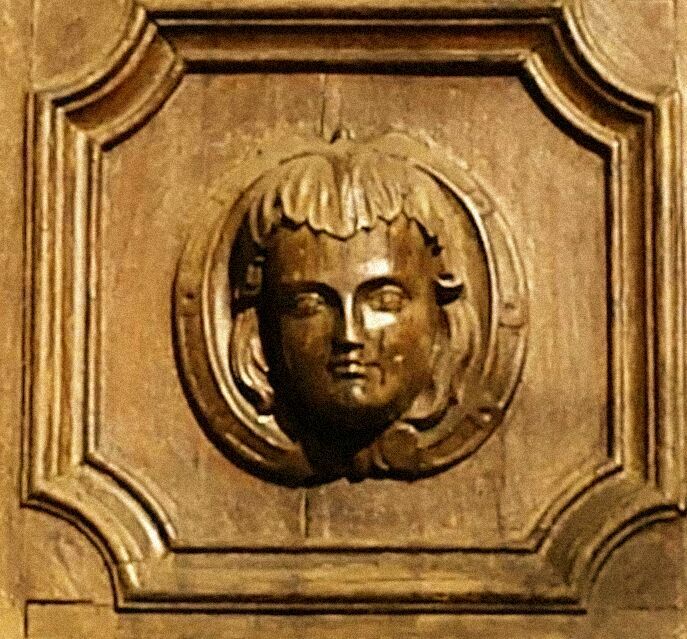 Could one of the Littlefields have carved these faces? Stephen and Sarah Hall seemed to have suffered financial crisis in the years leading to the Civil War. The deed history shows a couple of mortgages and more than one foreclosure. 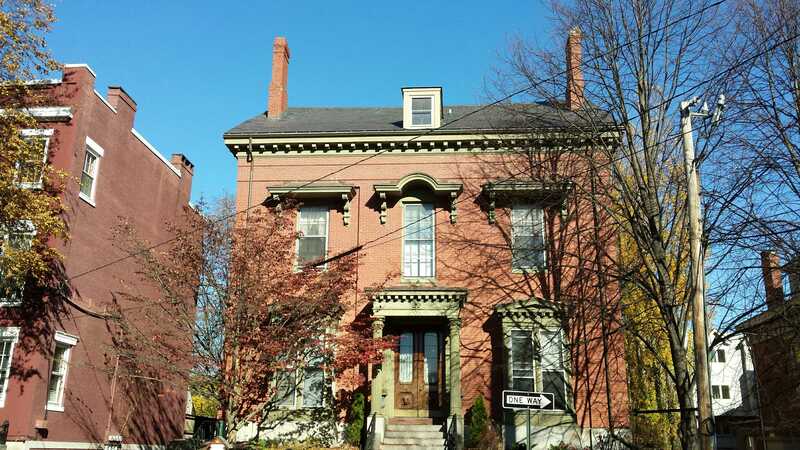 In January of 1864 they sold 85 Park Street to Peter & Mary Lane. 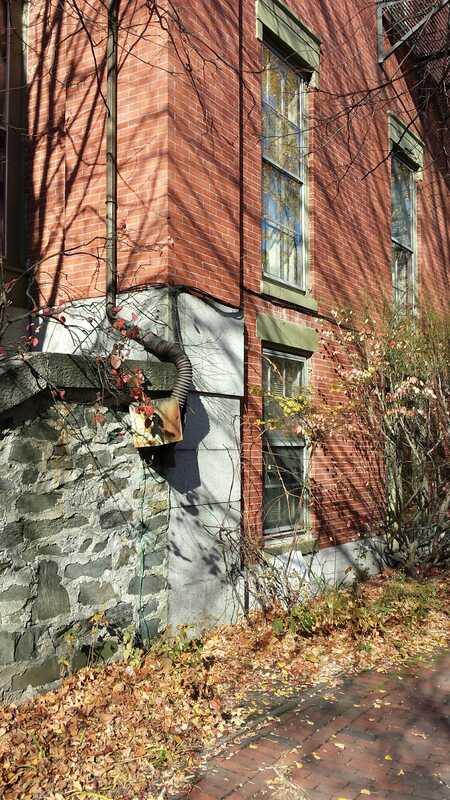 The Lanes would build their own house on Vaughan Street in 1873. That house was the subject of a previous post. In 1924 the home was owned by a son of James P Baxter, Clinton. It was listed as a single family dwelling at the time. Today it is listed as a 5-10 family. The house is in very good shape today. It would seem the owner takes some pride in the building. The paint color is an inspired choice. The verdis gris adds an aged quality. The landscaping is well thought out. 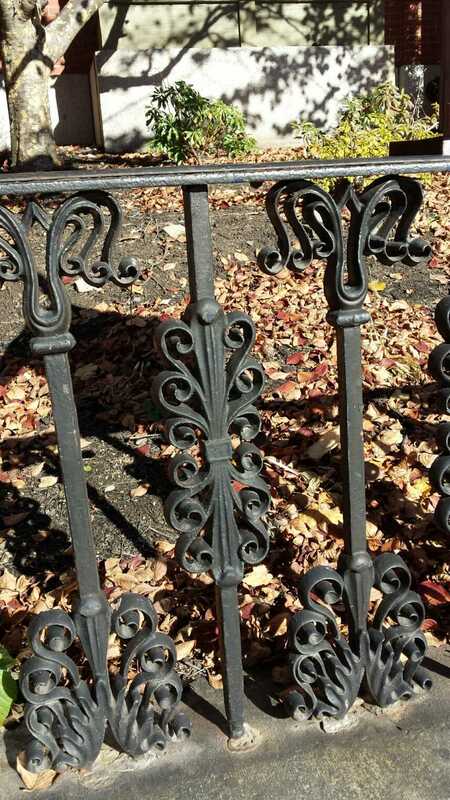 The iron fence is in great shape and is the same as seen in 1924. On a final note, there is the question of attribution. Although there is no documented evidence, I have chosen to attribute the home to Charles A Alexander. There are several reason for this. The design is far to unified to have come from the hand of an ‘amateur’. Whomever designed this, and it was ‘designed’, had a substantial grasp of design principals including massing and symmetry along with others. The designer had a strong knowledge of materials and how best to use them. As we have seen in his other works, Alexander certainly understood brick and wood well. The plan form of a 3 bay wide facade combined with a strong vertical orientation is something Alexander used in the period this house was being built. All in all, strong arguments for Mr Charles Alexander as the designer.